Raksha Bandhan or Rakhi…is an Indian festival in which brothers and sisters celebrate their love and respect for each other. Sisters give brothers a thread bracelet called a rakhi, which represents their love. Brothers promise to care for their sister and give them presents like sweets, jewelry, toys, and clothes. Thread of Love can be sung to the tune of Frere Jacques. 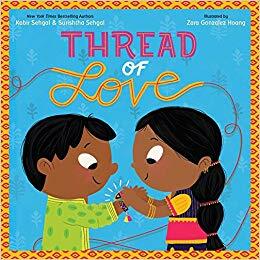 Authors Kabir Sehgal and Surishtha Sehgal tell the story of two girls set to work to make rakhis for their beloved brothers. The sing-song text is very memorable and sweet. The illustrations by Zara Gonzalez Hoang are all the colors of the rainbow. The children’s faces have wide eyes and tiny noses and smiles. The flat backgrounds make the children appear to be in 3-D. There are many peeks of Indian culture hidden in the illustrations. Brother Ji’s bedroom door has a cricket poster on the back, a marketplace and school are also shown. At the back of the book are instructions for children to make their own rakhi. 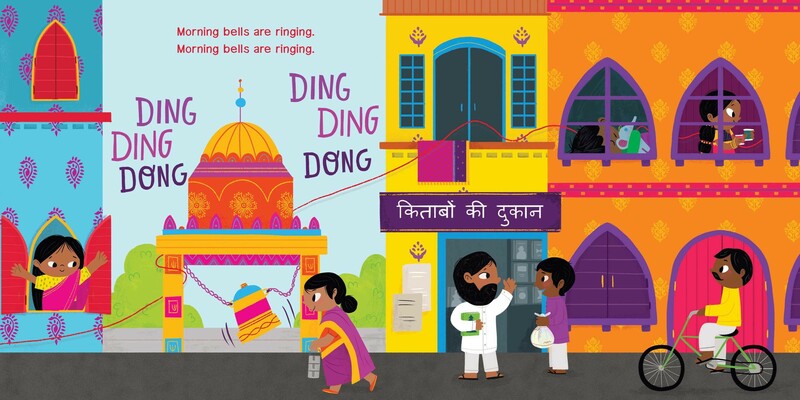 This book serves as a great introduction to multicultural perspectives for children who don’t know of Indian culture. Next “The Umbrella Academy” New Trailer, Creator Interview and More!